For episode 18 of Crosshairs Radio we welcome Richard Sachs to the show. Richard is best known as a bicycle frame builder who has built a reputation as one of the most meticulous, detail-oriented and skilled frame builders working today. 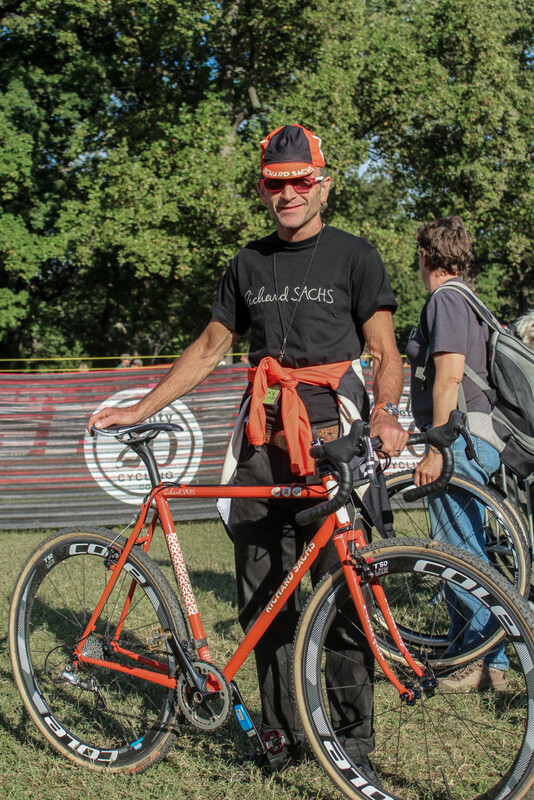 Richard is also immersed in cyclocross both as a racer and team owner. Our conversation concentrates more on the racer and team owner than the frame builder. We have a great talk about how he first discovered bikes, how he entered the cycling business and how he ended up running a team. Along with Richard, Dan Chabanov joins us once again. This time as a co-host. The three of us have a good-natured chat in Dan’s hotel room during a rainy Saturday night before the final day of racing at the 2016 U.S. Cyclocross National Championships in Asheville, N.C.
You can learn more about Richard Sachs at www.richardsachs.com andwww.richardsachscyclocross.com. He is on Twitter at @rscycles and on Instagram at @therichardsachs. Dan Chabanov is on Twitter and Instagram at @danchabanov. Really enjoyed this podcast. Richard Sachs has such a realistic and fresh approach to racing and training ( no garmins, powertaps, etc… ) and I totally agree with his assessment of why CX is so fun and successful. Good storyteller, too.